As Altmann exits, where is Workie? Pensions Minister Baroness Altmann is to leave government, we learned over the weekend. 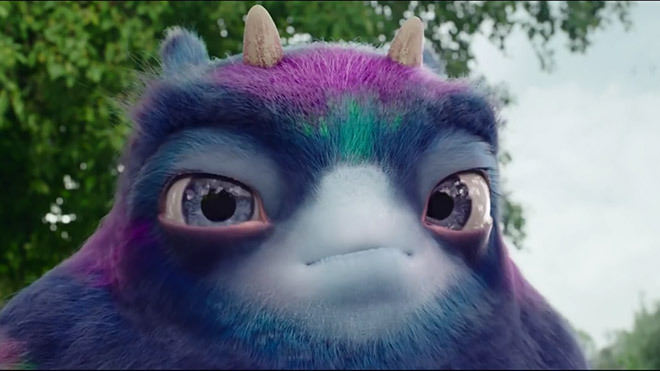 The reshuffle fortunes of her sidekick Workie, the much lampooned multi-coloured monster she launched to promote workplace pensions, have yet to be confirmed. Altmann marked her departure from government with a letter to the Prime Minister criticising “short-term political considerations” for inhibiting good policy-making and setting out areas requiring major reform. Among her proposals is the introduction of flat-rate pension tax relief, rebadged by Altmann as a One Nation pension. This approach is supported by the TUC as a means of redistributing support to those low and middle earners who need the greatest support in building savings. But this will only work if such reform is not simply a cover for spending cuts but ensures that workers across the salary spectrum – and their employers – remain incentivised to put money into retirement savings. Altmann called for fair treatment for women and better communication on state pensions. This, too, is a major TUC priority. There are longstanding, and well-documented, inequalities in pension provision in the UK. Altmann draws particular attention to the impact on many women of the acceleration of state pension age, something the TUC warned about at the time and since. But the challenges of maintaining progress towards equalisation, while helping those hardest-hit, were not resolved during Altmann’s time in office and it is a pity she doesn’t set out potential policy solutions herself. Altmann also wants a major review of defined benefit pensions. It is unclear why DB pensions should be reviewed separately from other forms of pension provision if we are to build a coherent strategy for workplace savings in the UK. It smacks of a slightly lazy characterisation of DB pensions as a “problem” to be resolved. A knee-jerk move towards allowing employers or schemes to cut accrued beenfits without worker assent would be a mistake. But there are areas that should be looked at. The TUC has called for a reassessment of the way that long-term scheme funding is calculated given plunging gilt yields. What is particularly striking about Altmann’s list is that it omits automatic enrolment, the very policy that Workie was created to promote. It has been an astonishingly successful policy developed under Labour, implemented by a Tory/Lib Dem Coalition and which has survived an austerity-focused Conservative administration. It has brought another six million people into workplace pensions with an employer contribution. Opt-out rates among workers and compliance among employers remains rock-bottom even as the smallest employers are brought into the system. This is a remarkable omission given the belated but crucial attention being given to the fortunes of younger workers, including with the launch by the Resolution Foundation of its Intergenerational Commission today. As explored in a recent TUC paper, Unfinished Business, there are still too many low earners missing out on auto-enrolment. Contributions remain too low for a decent income in retirement. Next year’s reivew of auto—enrolment provides a fantastic opportunity to set out a long-term plan for how the policy will develop. This requires political effort and a need to engage with a range of stakeholders. But if we are to expand workplace saving further there is also a need to tackle the long-standing problem of lack of transparency in costs and charges coupled to a lack of scale in UK pensions. There is growing evidence, much amassed by the impressive Transparency Taskforce, that unwarranted charges are taking big chunks out of savers’ retirement nest eggs. The best thing that the incoming Pensions Minister could do is to rebuild the consensus-driven approach to pension policy making that characterised the introduction of auto-enrolment. Oh, and look out a comfortable, and colourful, retirement home for Workie.